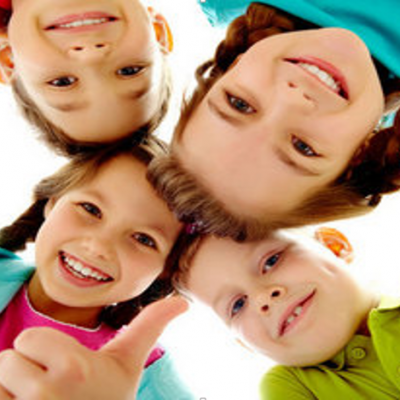 GNAM invests in a group of companies geographically dispersed, specialized in children and youth’s edutainment. 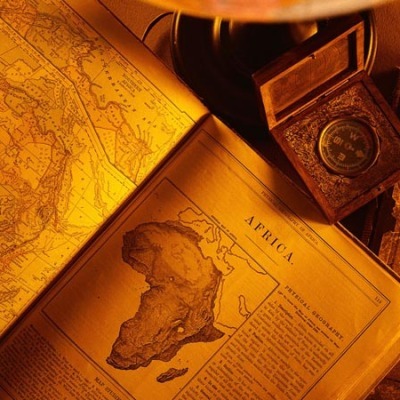 GNAM companies have grown from strength to strength offering content, services and products tailored accordingly to the sensitive regions’ cultural values. GNAM is an investment company, which has the financial backing of WEISS Investment and prominent private and institutional investors from Japan and the GCC region, and headquartered in Dubai, UAE. GNAM has been investing in all sectors of media and is still expanding to Digital media by entering new markets such as mobile and internet business where it sees the future for kids and youth. GNAM Strategy is to develop more platforms and expand its operations to be a leading Content creator in the World. Check out Latest News from GNAM and it’s Companies..
United Arab Emirates, Dubai – 13th December 2018: Spacetoon Group, the Leading Company in the field of edutainment in MENA, has recently announced its partnership with Pinkfong, the children’s educational brand of SMARTSTUDY, a South Korean educational entertainment company, to bring the phenomena of Baby Shark to MENA. Just like billions of people around the world, you must have heard and enjoyed “Baby Shark”, the song by Pinkfong that got more than 2 billion views on YouTube! It was originally made for kids, but when the song plays even adults can’t help but singing along, and maybe dancing with the exciting melody, too. Well, buckle up and get ready because Spacetoon is announcing its partnership with Pinkfong to bring this phenomenon to MENA, and to double the fun, other songs by Pinkfong are on the way too. Fayez Weiss Al-Sabbagh, the President of Spacetoon Group, said: “We’re very proud of partnering with SMARTSTUDY. We can’t wait to see how our team will expand the popularity of the already successful Baby Shark song, but this time in Arabic language”. Baby Shark song will be localized into Arabic by Spacetoon Kids T.V in cooperation with Pinkfong. This means that soon Arab children will be enjoying the song again in their own language and watching it on Spacetoon T.V and its digital media platforms. Moreover, other Pinkfong hits will be localized into Arabic too, such as Monkey Bananas, The Penguin Dance, and many more. A contract has been signed as well, and as a result ALC was announced to be the master license holder of all the categories of Pinkfong and Baby Shark. ALC team has got great plans in store for the audience in order to get the best out of this license! The exclusive rights for the ticketed and non-ticketed activation of Baby Shark and Pinkfong are given to Spacetoon Event. The preparations for upcoming live shows, workshops, and other entertaining events that hold the theme of Baby Shark have already started. During more than 18 years, Spacetoon Group has gathered many brands that have loyal generations of Arab fans all around the world. The best thing to do is to follow the advice of Baby Shark song “Let’s go hunt”, and hunt the opportunity of joining the huge success that will be soon achieved through Pinkfong’s Baby Shark. 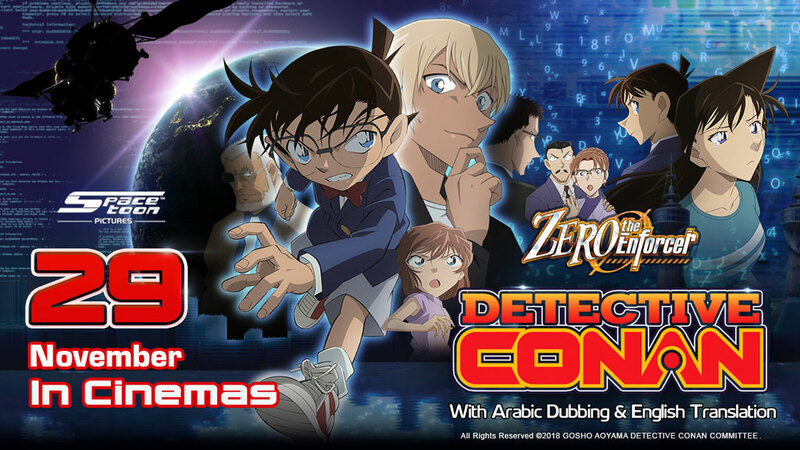 United Arab Emirates, Dubai – 25th November 2018: Spacetoon Pictures, the specialized company in distributing and publishing cartoon and animation movies in MENA, has recently announced that “Detective Conan: Zero the Enforcer” will be available in GCC movie theaters on 29, November, 2018. Spacetoon Picture has always been eager to bring the most successful and recent anime cartoons into the Arab world. As a result, it will bring “Detective Conan: Zero the Enforcer” movie to MENA, after only a few months of the official release in Japan, because Detective Conan has been a very popular anime series in the Arab world for almost two decades now, and the fans would always welcome new Conan movies. In the Arab world, the popularity of Detective Conan dates back to 2000, as it was broadcasted for the first time on Spacetoon T.V, and gained a remarkable success in no time. Viewers enjoyed watching mysterious vague cases -which seemed to have no solution- being exposed by a clever boy, who also has his own share of problems and secrets. “Detective Conan: Zero the Enforcer” is about Conan’s mission to expose the person behind many legal violations and a large-scale explosion, in addition to proving the innocence of the main suspect. A mission that is full of intense conflicts, confusion and surprising plot twist, all coming to an end when the insightful and quick-witted detective unravels all the mysteries. The movie has achieved a huge success in Japan, it gained US$ 80 million total profits, becoming the highest grossing movie in the series. In addition, more than 5 million tickets were sold in one day. Most importantly, the movie is now ranked among the top ten best-selling movies of all time in Japan. It is noteworthy that Arab fans were very attached to the Arabic dubbed voices, and got acquainted with them quickly. Due to the strengths of this attachment, Spacetoon Pictures decided to apply the Arabic dubbing with the same professional voice actors, and this mission was accomplished by Venus Center. The Language and subtitles preferences are broad, it’s totally up to the viewers to pick what they enjoy the most. The movie is available in Arabic dubbing, in addition to the original Japanese language. If the Japanese version is chosen, Arabic or English subtitles are provided. After being on the screens of more than 340 movie theaters in Japan only, the movie will be soon running in many GCC cinemas, presenting the fans’ favorite characters with new tales and adventures. It is worth to mention that this is the 4th anime movie brought by Spacetoon Pictures to MENA cinemas, as it was preceded by Yo-Kai Watch the Movie, Masha and the Bear and Mazinger Z: Infinity. Communities and governments recognize Spacetoon’s achievements as a good corporate citizen and initiator for leading and innovative projects in the world, and here below some of the awards and prizes Spacetoon gained. ASBU BroadcastProMe Award - “The Animated Work of the Year” for the New Animation Series ZAFARI. Certificate of Appreciation from the Higher Council for the Family Affairs on the participation in the Satellite Channels Challenges and Ethics Forum for young people in the Gulf region. Silver Award of the Cairo Media Festival on the "doors and windows" program. At GNAM, We believe that by providing a creative, educative and entertaining expression media we excel children and teens’ minds. 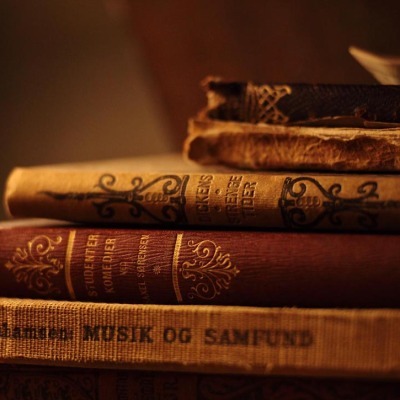 Media is a primary source of data and knowledge. 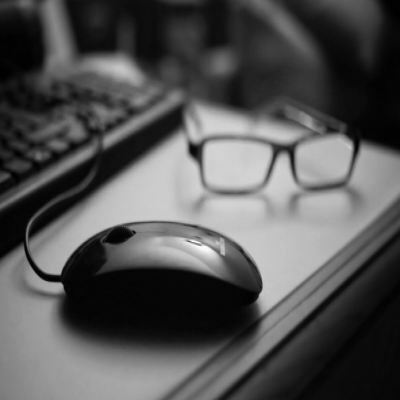 We strive to bring viewers and users to educate them in an entertaining model. We believe in using technology and creativity in Media and We know that communication is an important part of the New Media. We make every effort to provide users with optimal solutions to fulfill their social needs, and to interact and transact in a safe and innovative way from the internet to mobile. GNAM is based on diversity, We operate in many countries and cultures around the world and We will continue to expand globally. GNAM continues to maintain its commitment to adapt to cultural heritages and communities it serves. The grim reality of the children in the Arab world encourages us to make a simple attempt to change this reality and to draw a smile on their faces again. 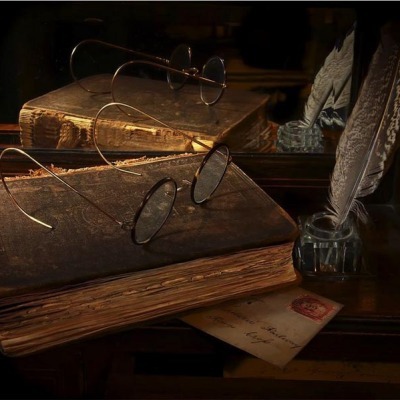 By launching long-term awareness campaigns and programs, in order to reduce the increase of early divorce and broken families rate, and thus to build an integrated society and to regain the ancient Arabic social values and beliefs. The program also aims to develop children in the cities and countries affected by the changes in their communities, to rehabilitate their personalities so they can cope with these changes. The program helps them to get back on the right path and to get integrated into the community again, in order to build a bright future and make a difference in the Arab societies. 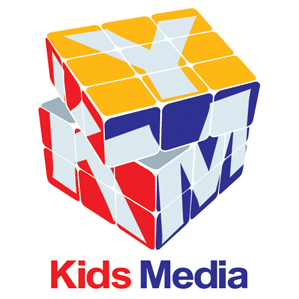 Kids Youth Media is a Dubai Media City registered company, it is the marketing and sales agency for GNAM’s companies. It builds successful partnerships with clients and businesses through effective media planning and creative categories exploitation. 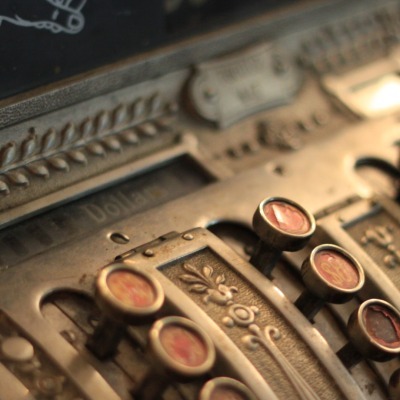 It has a highly experienced team of marketers and sellers. Spacetoon Pictures was established in 2017, as one of the specialized companies in the field of publishing and distributing cartoon and animation movies in MENA. The company rapidly presented several movies that suit children and families, taking into consideration the special characteristics of the Arab community. Spacetoon Pictures, headquartered in Dubai, is the choice that attracts the biggest international movie production companies. The company has succeeded in presenting special cartoon movies that witnessed great success and achieved high revenues. Spacetoon Pictures is a continuation of Spacetoon Channel’s success as the first educational Arab channel which has more than 200 million Arab viewers, and today Spacetoon completes the mission by presenting a new experience full of fun and entertainment for the Arab audience. Spacetoon College aims to present the most ground-breaking developments in the technological realm of highly specialized graphic design and animation. We strive to cultivate undiscovered talents to face the growing competition in the ever emergent world of technology. Confident in the sturdy curriculum we are presenting and the world class skills the students are gaining, Spacetoon College guarantees that the students will land a career they are passionate about. Students acquire a hands-on education – the opportunity to use industry-current theories, technology and equipment. GamePower 7 is a Cyprus company, established in 2007 as a publisher and developer of online Massively Multiplayer Online (MMO) games and related digital media. 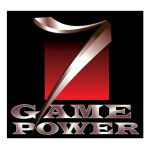 GamePower 7 emerged as the first gaming company in the Middle East and North Africa. 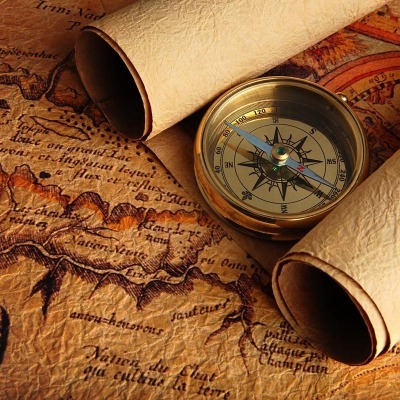 GamePower 7 aims to create, Cooperate & build partnership with global game developers to create a global game production pipeline by developing edutainment online games offering the combination of fun, creativity, and education. 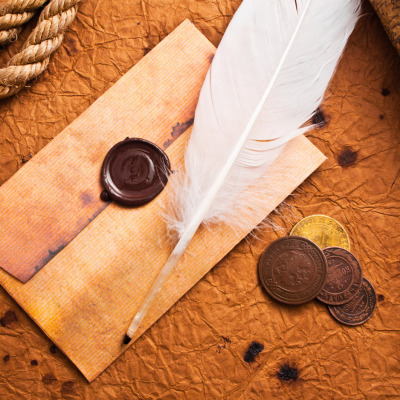 Arabian License Company (ALC) that was established in the late of 1980s was the first company in the Middle East to introduce licensing to the Arab World and continued to be as the only independent agency representing a portfolio of third party owned properties. It’s Pioneering efforts helped raise the awareness about copyright laws and the potential for Licensed merchandise in the region, through providing characters’ licenses to producers (companies and factories ). In recognition of the outstanding record that ALC achieved and maintained in it’s early years, The International Licensing Industry Association (LIMA) awarded ALC ‘The International Licensing Agency Award’ for 1994. Since then the company has continued to grow the business and further establish its place in the International Arena. 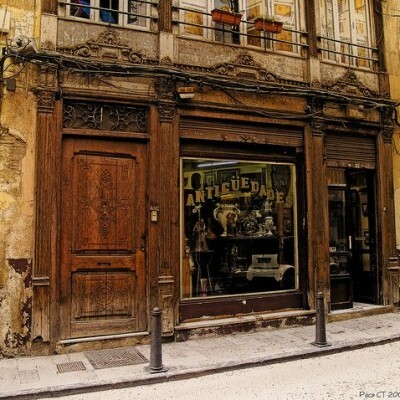 With branches throughout the market and a prestigious portfolio of Brands & Characters. GNAM is financially backed by the Weiss Brothers. TeleMango is a leading provider of telecom products and services with clear focus on offering exciting, family-safe and culture-sensitive services to the youth segment in the MENA region. 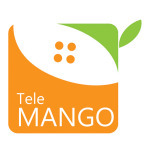 TeleMango was founded in 2008 by GNAM. 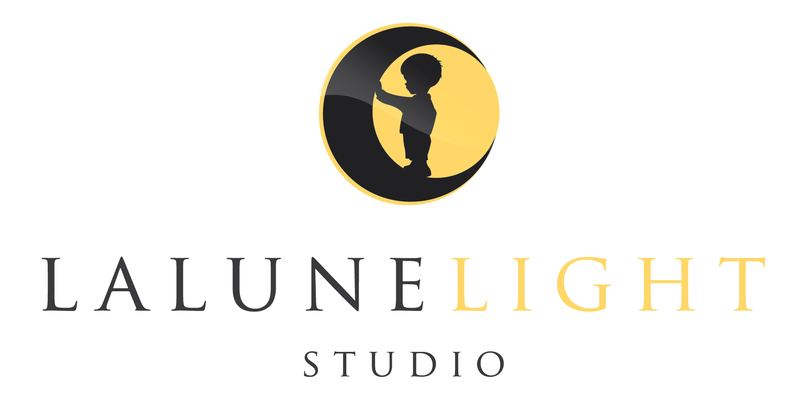 LaLune Light Studio an animation production company based in Malaysia, was founded in 2012. 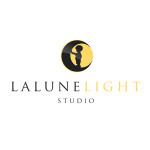 LaLune maximize it’s strength by working with developers and distribution partners around the world. Venus for Art Production was established in 1992 and has grown to become one of the most prestigious companies in the industry specializing in dubbing animation. 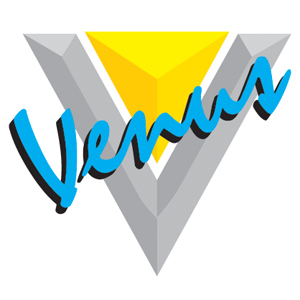 Venus has dubbed approximately over 10,000 episodes of the best animation production in the field of children’s media. Spacetoon Event initiated its business in the Arab region in 2003, as a subsidiary company of GNAM group, headquartered in Dubai. The company aimed to create new concepts for producing entertainment that addresses the children of the Arab world. Spacetoon Event succeeded in establishing a prestigious position in the Arab Market, and reinforced the presence of its brand, it also contributed effectively in reforming the concept of modern entertainment in a way that suits the Arab world by providing special experiences that equal international standards. Spacetoon Event looks forward to expanding its business volume and reinforcing the concepts of entertainment by improving its partnerships and opening up to the pioneering international experiences. 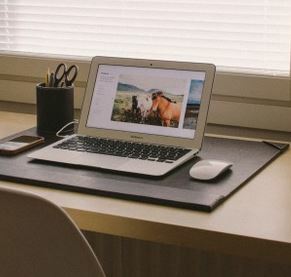 The company also aims to boost the number of its implemented events. 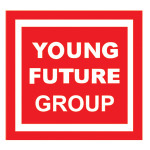 Young Future Publishing was established in 1979 as a translating, printing, and publishing house for worldwide cartoon comics, coloring books, etc. The YFP began with exclusive rights to legendary cartoon characters such as the Pink Panther, Woody Wood Pecker, Barney, Fisher Price brand book along with many others and was distributed in 18 Arab countries such as the GCC, North Africa and Levant markets; where we have local distribution companies. 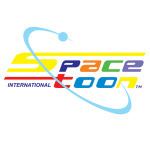 At Spacetoonat, we design and source a premiere assortment of high-quality and unique merchandise that represents the all Kids sector. From toys to costumes, outdoor and cloth, Spacetoonat has offered a premium selection of exclusive product to guests for more than 7 years. The first store opened in Jeddah, Saudi Arabia in 2008. Since then, we have opened more than 8 Spacetoonat Stores across the KSA. 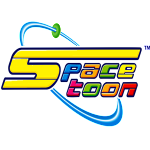 Each year, more than 1 million people visit Spacetoonat, making it an important brand destination for Spacetoon fans around the MENA Region. Each of our store locations, offer a wonderful shopping experience unique to Spacetoonat, one of the best and most successful entertainment companies in the MENA. But where we’re going is even more exciting than where we’ve been. We need your creativity, energy and enthusiasm to help us get there! Spacetoon Kids TV FZ LLC (‘ST Kids TV’), established in 1997. We invest in all sectors of media. We are still expanding to Digital media and enter new markets such as mobile and internet business, as that is where we see the future for kids and youth.